"People don't come to C. C. Young to retire. They come here to live." 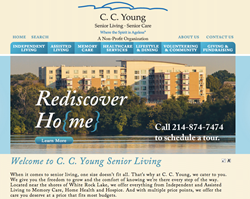 Ten top Dallas/Fort Worth organizations today announced the launch of a new campaign, led by C. C. Young, that connects senior adults to activities and offerings specifically available for them. 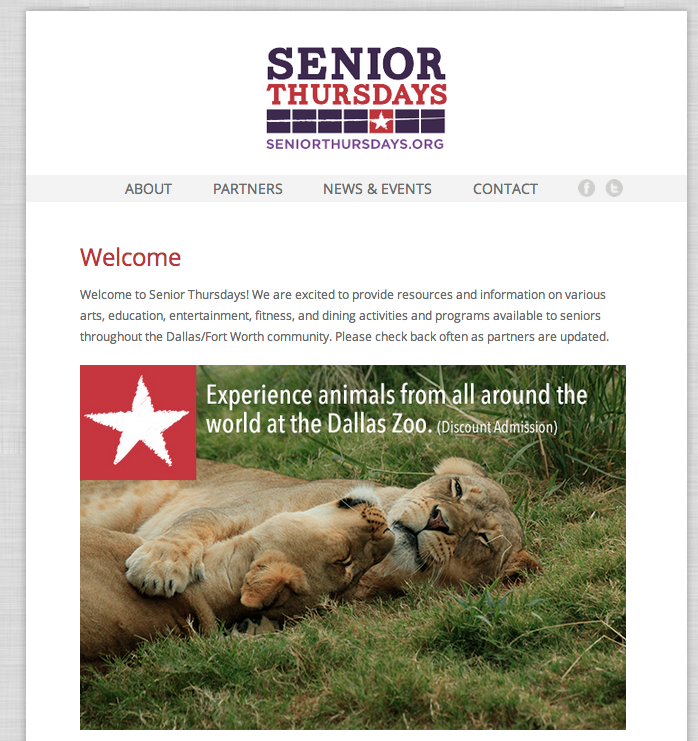 The concept for “Senior Thursdays” originated when Dallas retirement community C. C. Young partnered with the Dallas Arboretum to encourage senior adults to visit on Thursdays and receive a reduced admission price. From this sponsorship came the vision for a broader, metroplex-wide campaign to promote senior activity. Senior Thursdays is not limited to events or activities available only on Thursdays. Partners in the campaign will promote activities available each day of the week through multiple websites as well as social media channels, Facebook and Twitter. Continued focus will be on the addition of strategic partners that expand food/dining, fitness, arts and education offerings. Additionally, C. C. Young announced the release of their enhanced, updated website, http://www.ccyoung.org. The new website reflects the community’s beliefs of providing a vibrant, meaningful and energizing celebration of life and boasts a modern, colorful design. Other new features include quick and easy access to information, resources and activities. The overall site is organized by the type of service current and future residents are interested in.